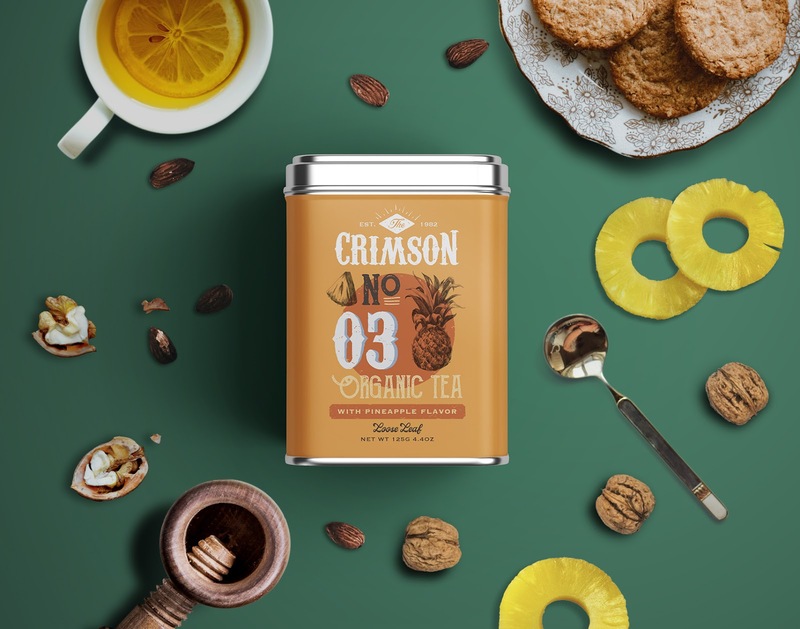 The Crimson is a unique line of organic tea available in three nice flavors including Strawberry, Grape and Pineapple. 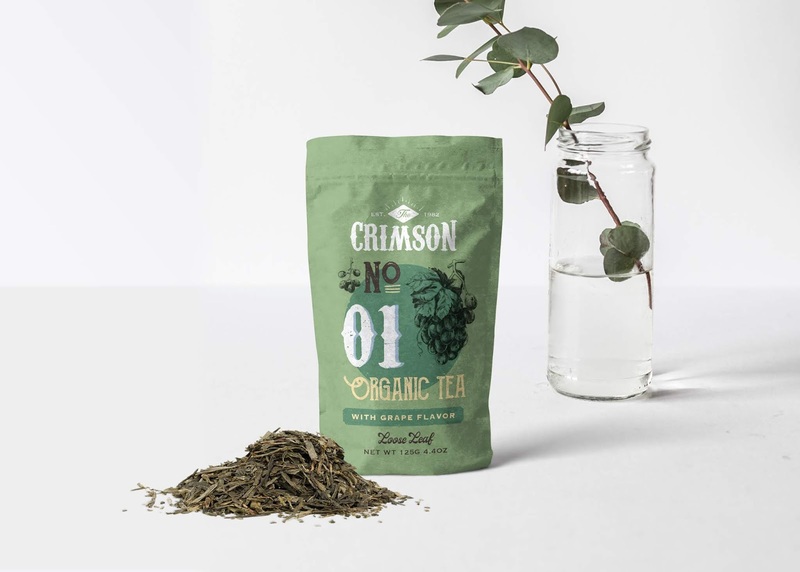 As a timeless blend of classic herbal tea and fruit flavor, this kind of loose leaf tea comes in square tea tin with slip lid and paper pouch bag. 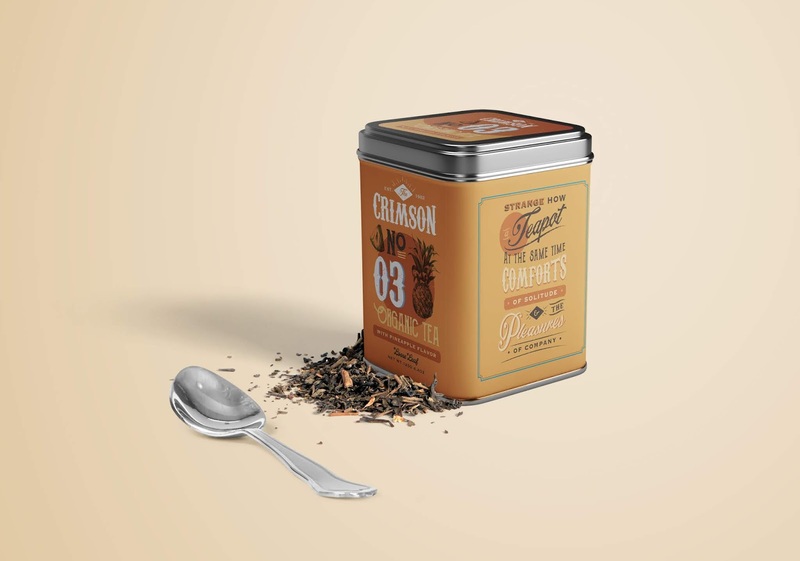 Pleasantly sweet and tart at the same time, it will be a good company any time of day. 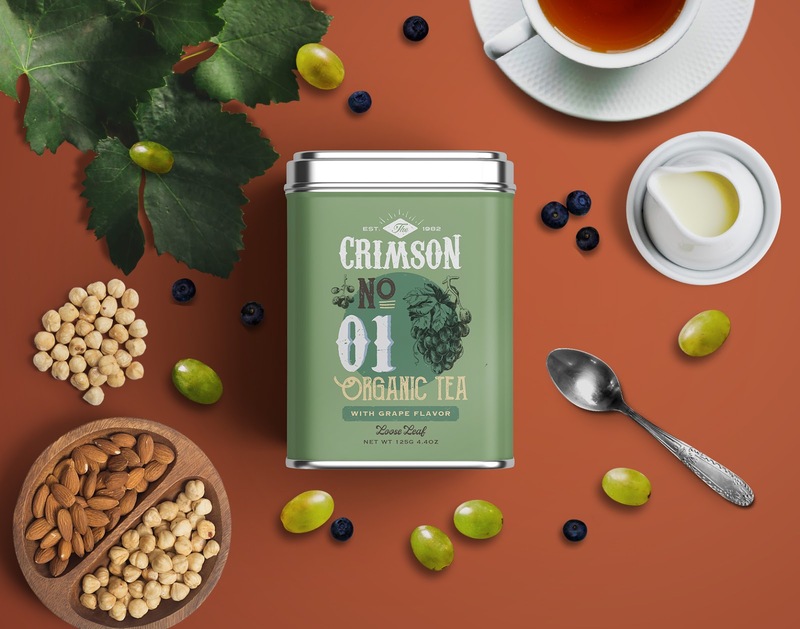 The target market for The Crimson is upper class within the age limit of 25 to 50 who are health conscious and aware of the massive benefits of drinking organic tea. 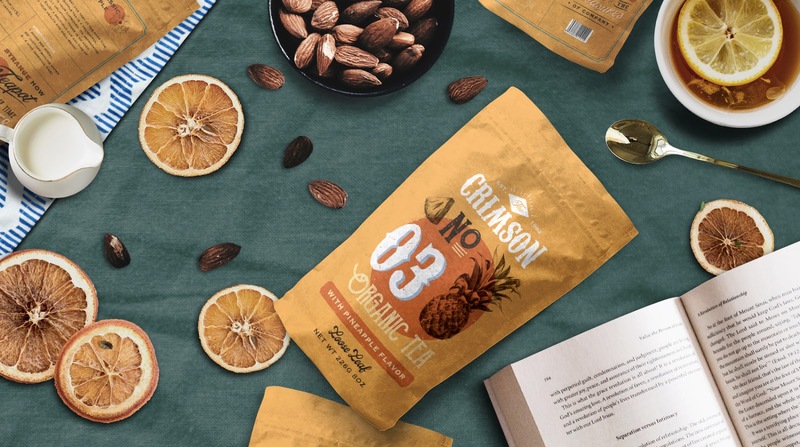 With the intention of representing the brand’s long history, the design concept is to use hints of elements from the bygone era that connect firmly with the sense of nostalgia. 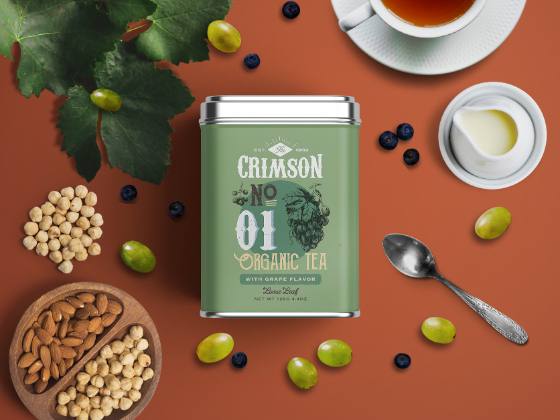 Based on that, the result is a solid combination of detailed hand-drawn illustrations, retro color palette, custom typefaces and flat elements. 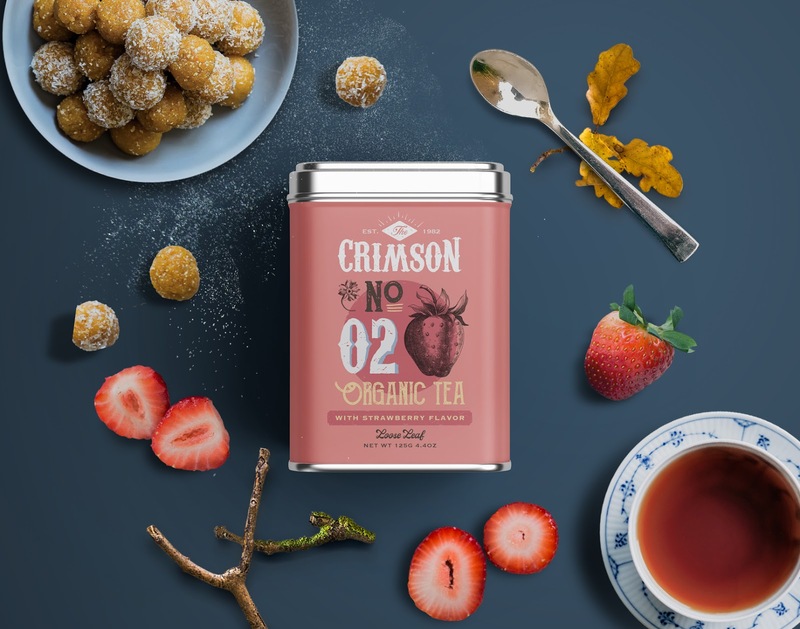 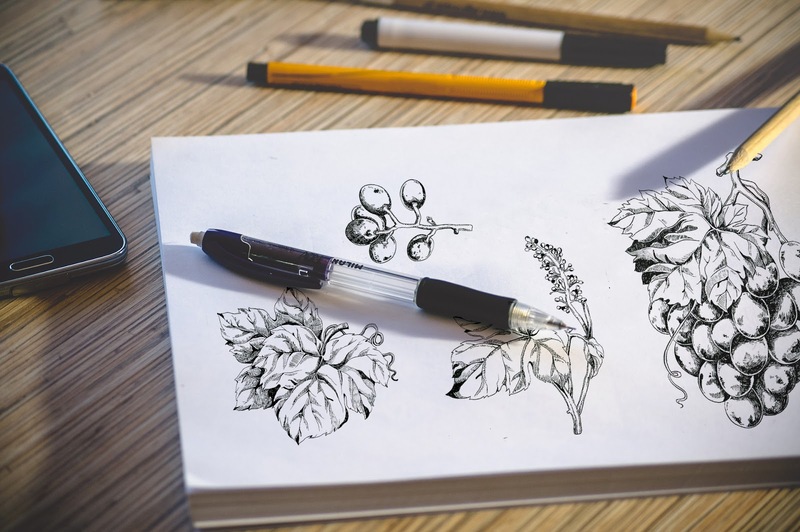 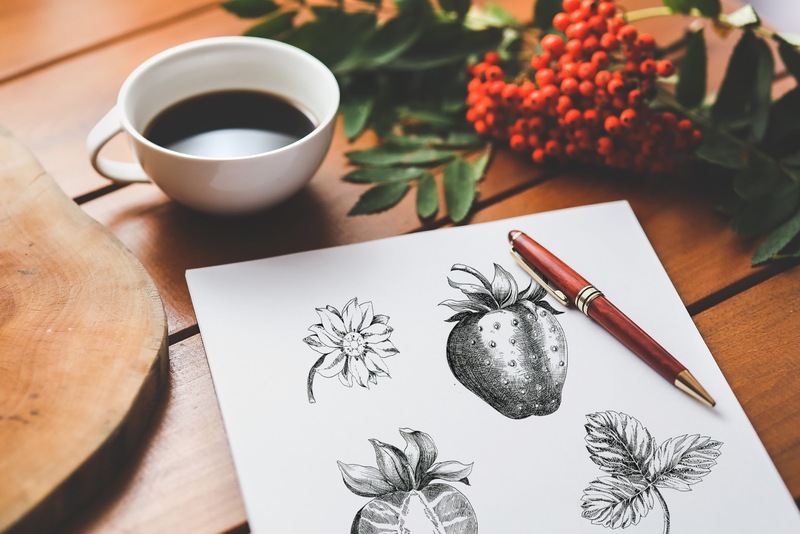 In the design of product, the brand’s name, the color theme and the visual communication are all harmoniously put together that keep the classic feeling of the herbal tea with a touch of modernity. 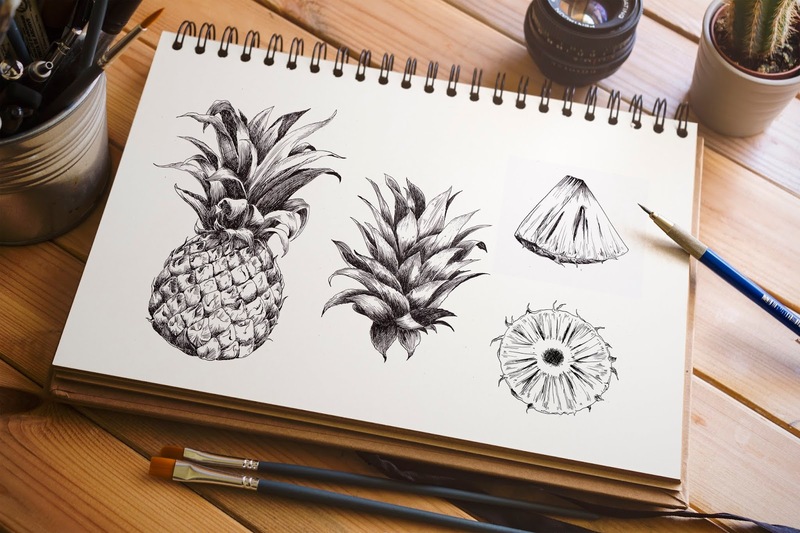 The three versions are numbered from 1 to 3 and designed with the same structure but in different colors to highlight each variety.